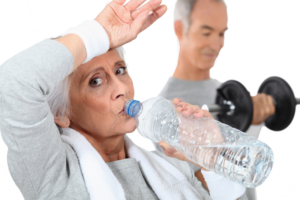 One area that can make exercise more enjoyable and safe is proper hydration. Hydration is the consumption of liquids pre, during and post-exercise to replace water lost during exercise. 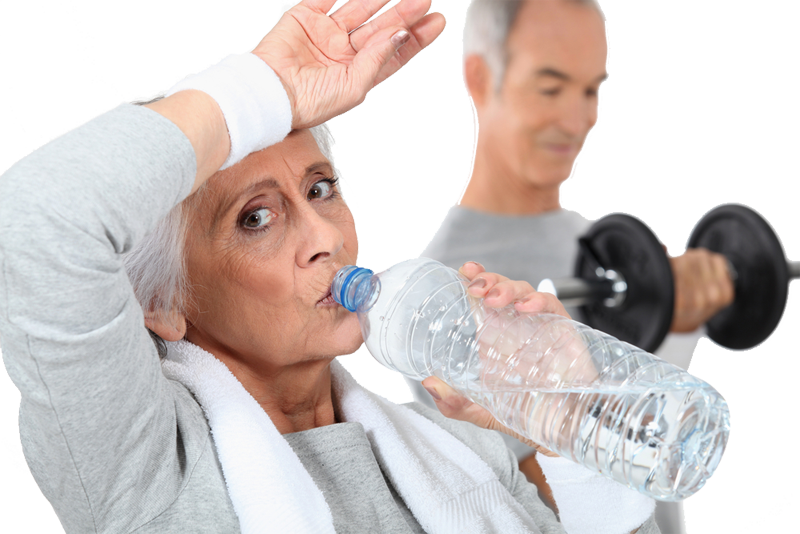 Without proper hydration an exerciser will become thirsty, have impeded muscle function, and have poor thermoregulation. Dehydration can also result in loss of important electrolytes, sodium, potassium, chloride, and magnesium. The most common and safe fluid is water, especially cool or cold water. Most exercisers do not require commercial fluid replacement drinks such as Gatorade. Generally those who exercise at very high intensity for 45 or more minutes would benefit from commercial fluid replacement drinks. Some people make their own fluid replacement drink by significantly diluting a favorite sugared soft drink (Coke, root beer, etc) or juice (orange, apple, grape, etc). The level of dilution is dependent on each person’s personal tastes and the soft drink or juice. Start with a 75:25 solution, 75% water and 25% soft drink or juice. A very small amount (e.g. “pinch”) of salt may be added. For further questions on proper hydration, contact us.